Jaguar Land Rover (JLR) has partnered with Shell-owned EV charging operator NewMotion to install 166 smart charge points at one of its sites. 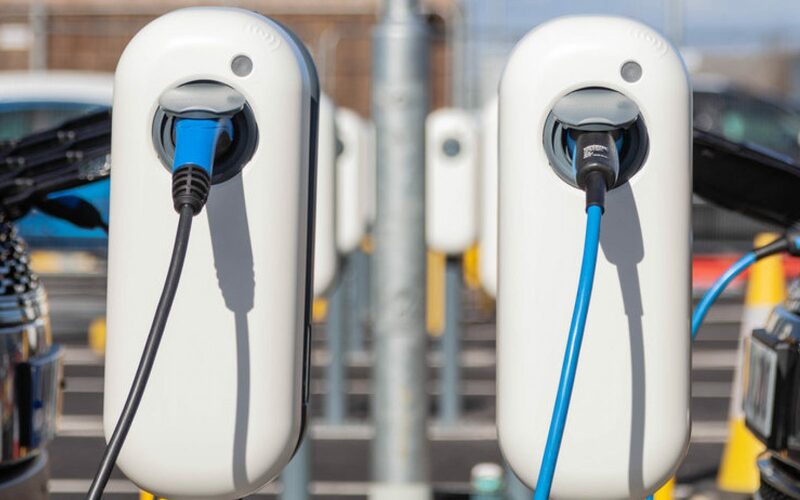 The chargers have been installed at Jaguar Land Rover’s Gaydon Engineering Centre, with the network being billed as the largest of its kind in the UK. The 7kW chargers were supplied by NewMotion and are integrated with NewMotion’s public network, allowing JLR employees to charge at any of the operator’s 100,000 charge points across Europe with a single card. Charge points will also be installed in the visitor’s car park, with further chargers be installed at other UK sites in the future. Jaguar Land Rover sources 100% renewable energy for its UK facilities, with the charge points providing a “carbon-free” commute to their employees. Mick Cameron, head of e-Mobility at JLR, said that he hopes the charge points will encourage employees to switch to electric vehicles, with every new Jaguar and Land Rover model line to be electrified from 2020.